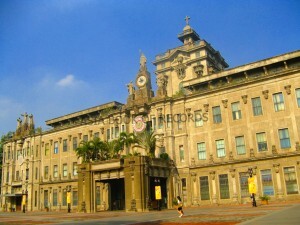 The University of Santo Tomas is the largest Catholic university in the world in a single campus. The institution was established by the initiative of Bishop Miguel de Benavides, the third Archbishop of Manila. The original campus was located in Intramuros, the Walled City of Manila, and was formerly called Colegio de Nuestra Señora del Santisimo Rosario. Later, it was renamed as Colegio de Santo Tomas, in memory of the foremost Dominican Theologian, St. Thomas Aquinas. Comments for LARGEST CATHOLIC UNIVERSITY IN TERMS OF ENROLLMENT (SINGLE CAMPUS) are now closed.